So firstly, why did you decide to do this course? I’m self employed and work as a builder and carpenter. I’m interested in insulation from an energy saving and carbon point of view. I also live in a housing co-op that is poorly insulated, cold and has been damp. 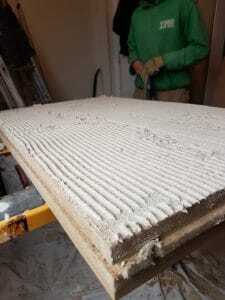 I’ve done insulation jobs in the past but I felt I could do with understanding it a lot better. There are a lot of builders out there who do insulation work and don’t think they need further training, why did you? I was aware I didn’t have such deep knowledge and I could do with thinking about it in a more methodical structured way. And try to actually understand it better than bits I’d gleaned or thought I knew. So the idea of doing a proper, relatively comprehensive course appealed to me. Did the course meet your needs as a builder as most of the participants were householders? During the course I was aware that I had more knowledge of building than a lot of people on the course and the tutor was explaining things that I already knew about general building, but that wasn’t a big issue at all, that was fine. I guess having familiarity with lots of building methods and materials was actually good for me. So did the course meet your expectations? Yes I was impressed with the course, I enjoyed it. It seemed comprehensive and the tutor was very good, very open to questions. I liked the structure of the course in terms of being a good overview and very methodically laid out with theory first and then the practical applications. I enjoyed trying to understand the theory better and a bit more deeply. Dan was good at that and the course was good at that. Trying to understand heat loses and what makes you cold in a building, I find it really interesting. How have you used the learning since the course? I’ve insulated four rooms in my housing co-op using the Pavadry system. I’ve also done various other insulation jobs using PIR foam for ceilings and roofs. What the course has done is shown me that sometimes in the past some of the insulations jobs I’ve done, some of the detailing wasn’t quite what it should have been. It’s given me the tools to think through the jobs carefully in advance and think about specification quite carefully. Hopefully I’ve done a better job than I would have done and got a much better result, people have certainly been pleased with my work so far. It’s definitely true that most builders don’t understand one of the things that I perceive makes a real difference to insulation performance like airtightness, thermal bridging and all the rest of it. Jobs I’ve done in my own home have been ok but if I look at it now I would definitely do it quite differently. There was one problem area, actually highlighted in Dan’s presentation, where condensation and mould formed between the ceiling and the wall because we didn’t detail that joint properly. Stuff like that is so easy to not think through, even if you, I mean we did think about it but we just didn’t think about it properly as we didn’t have a way of thinking about it, we didn’t understand the key principles. So I think there’s a lot of people doing ok insulation but not good insulation, I mean builders, not householders, householders probably do a better job because they take it seriously! Is there any more training you’d like to see us offer? Something on making specification decisions? 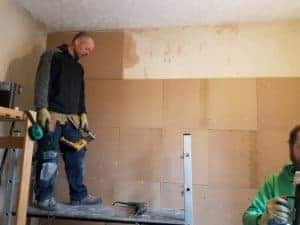 Maybe this is too builder or DIY-er specific, but there’s a great deal of choices in insulation and draught proofing and I’ve got better at this but more training would be good. 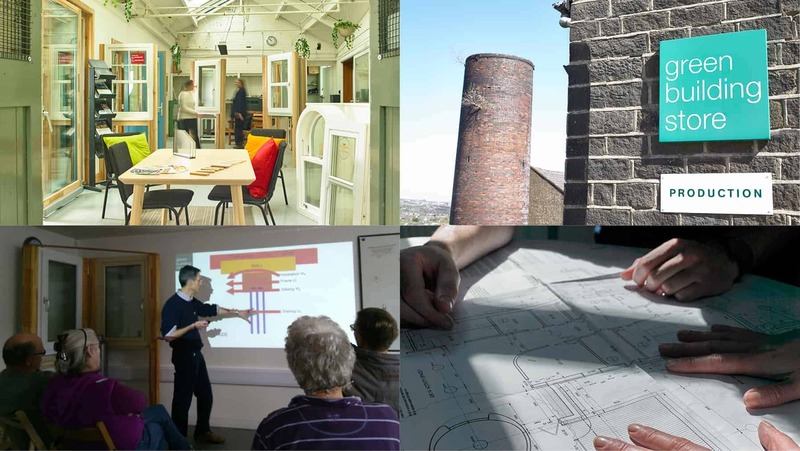 DIY Retrofit for Homeowners is running on the 28th, 29th April and 12th May 2018, in Manchester. Book before 31st March for early bird rates. Visit www.carbon.coop/training for more information.